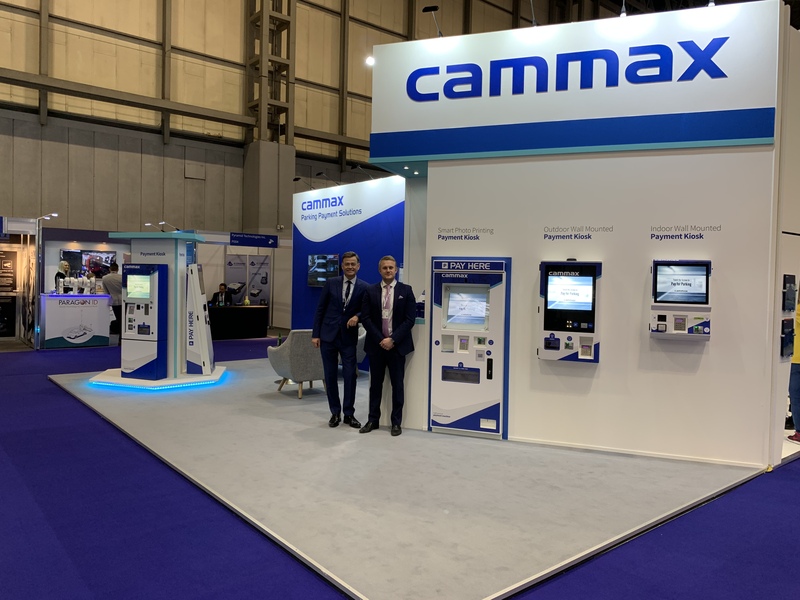 It’s the final day of BPA Parkex 2019 and Cammax have been busy showcasing our latest range of parking payment solutions at Europe’s largest dedicated parking event. Co-located with Traffex, Parkex- held this year at Birmingham’s NEC- is the best place to discover first-hand the most innovative parking technologies available on the market today. The BPA event is where the sector comes together to find solutions to the latest parking issues, exchange best practice knowledge and hear from the key stakeholders in this rapidly-evolving sector. 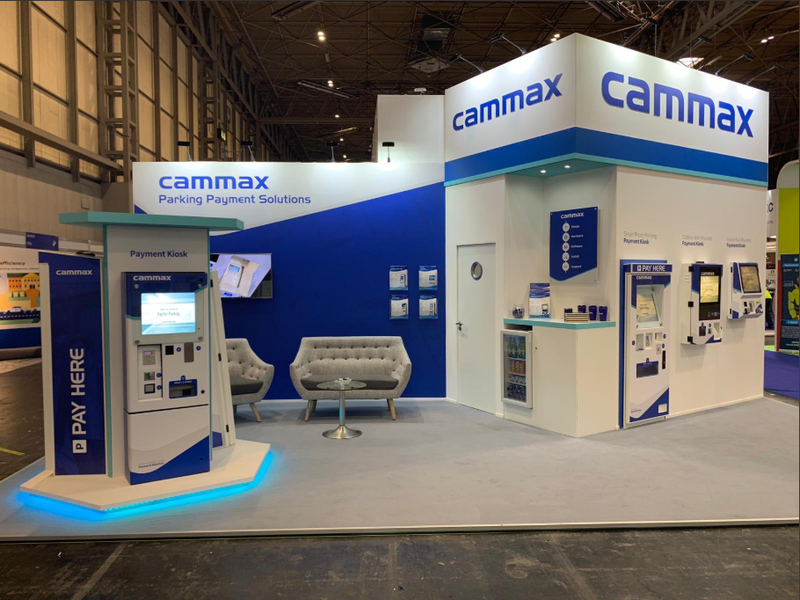 To mark the growing popularity of Cammax parking payment solutions, this year Cammax have invested in an impressive custom-built stand for the exhibition, designed to house our market-leading range of parking payment machines. 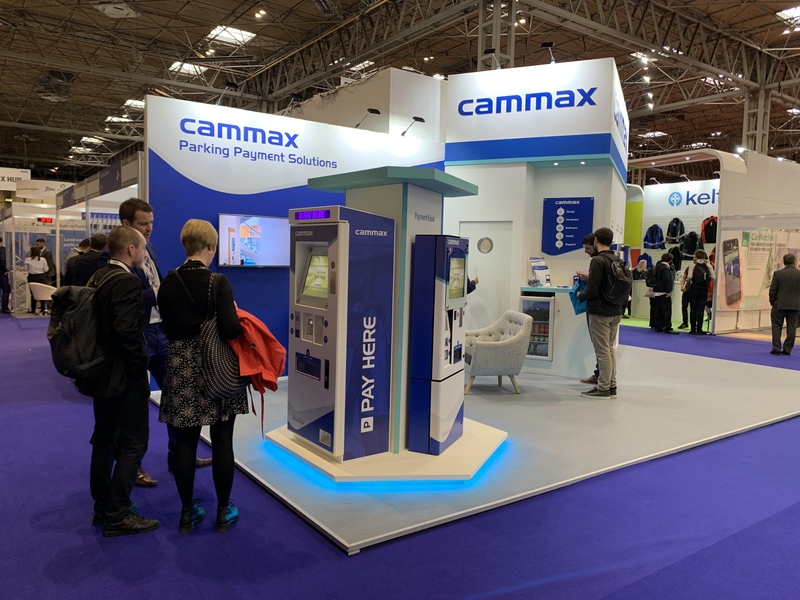 Over the course of the three- day- show visitors have been visiting Cammax on stand P110 where they have been encouraged to interact with our leading range of parking payment machines and engage with the Cammax team to learn more about the many benefits that self-service payment systems deliver. As well as viewing the latest technological innovations on show, visitors to the exhibition have been able to draw on the knowledge and experience of dozens of exhibitors, take advantage of an extensive programme of seminars and presentations at the Parkex Hub, and connect with like-minded parking professionals. New for 2019, and joining popular Cammax parking payment models like the Free standing Blade Payment Kiosk, is the brand-new Outdoor Wall Mounted Payment Kiosk. The Outdoor Wall Mounted Payment Kiosk is unique in that it has no visible locks; instead the kiosk is opened electronically via bespoke Cammax software. The new model can also be fitted with peripherals including a receipt printer, barcode scanner and contactless payment device but cash is removed to keep the kiosk footprint to a minimum. Cammax pioneer a range of different parking payment solutions because we recognise that the parking industry needs to offer drivers many alternative ways to pay for their parking, which is dictated by the marketplace and also by the physical and infrastructure requirements within different car parks. The new Cammax Outdoor Wall Mounted Payment Kiosk was developed to give parking customers more choice as they seek to find a kiosk solution that’s right for them and early feedback on the new machine has been extremely positive. Cammax are now providing multiple self- service platforms which cater for the new digital age and we endeavour to ensure that our suite of products can be tailored to as many client requirements as possible. This approach allows our clients to benefit from reduced development costs whilst obtaining a system that meets their exact needs, rather than being shoehorned into purchasing a massively expensive system that only achieves 80% of functional requirements. With the clock ticking down before the curtain is finally drawn on Parkex 2019 it’s fair to say that the exhibition has been a huge success. If you have registered and have a ticket for day 3 come and say hello to Cammax over at stand P110. If you are unable to make this year’s show then fear not because you can get in touch with a member of the Cammax team and find out more about our parking payment solutions by emailing or phoning us today.